Life isn’t easy at the top. Because everyone sees the perks of being there. But not what got you there or what keeps you there. Dell Latitude is here, not just to partner your ride, but to understand the journey just as much as you do. With the Latitude 7000 series laptops, Dell offers CXOs and senior management an option of choosing a work machine that matches their stature and pace. Its premium design, most efficient security features, seamless connectivity, and ease of mobility, makes it a class apart, just like the CXOs. 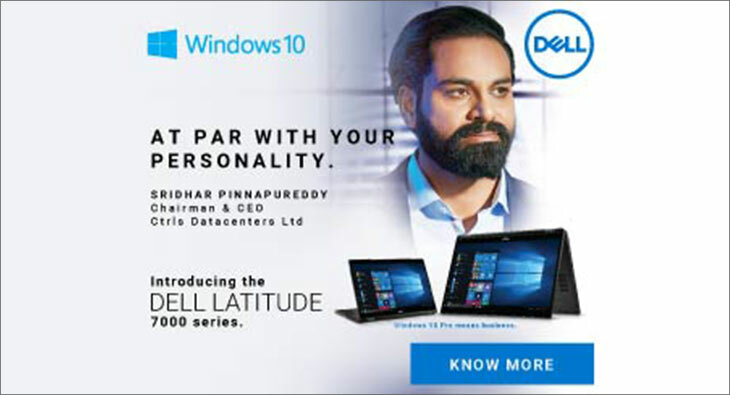 Conceptualised and executed by Grey, the campaign takes a trip down the lives of CXOs as they try to drive their organisations ahead, with Dell Latitude as their partner. Speaking about the film, Gautam Bhasin, Group Creative Director at Grey Bangalore said, “A CXO's life revolves around handling challenges and confidential information, being accountable and taking tough calls. Which is why he needs a laptop that works in tandem with his pressure. So, we mirrored the CXO's journey, showing how a Latitude would seamlessly fit into their world, handling it all, just like him." According to Minakshi Menon, Senior VP & Branch Head, GREY Bangalore, “The fact that it is lonely at the top is a cliché because it’s true. In fact, the trusted laptop is possibly the only partner that truly understands the day in the life of a CEO. So the creative idea is rooted not only in insight, but also in empathy. The outstanding product features, and the brand values of Dell Latitude made it possible for us to genuinely be that partner in the film."